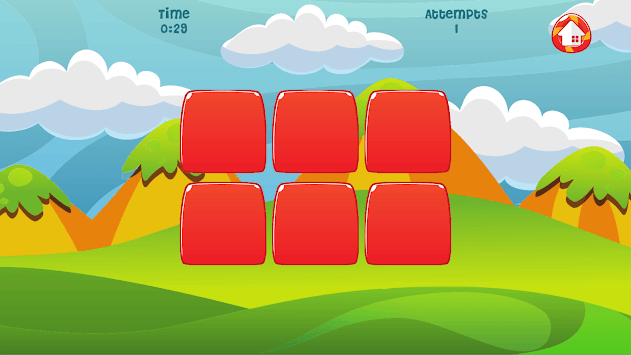 This kids memory game will help them improve their recognition while having fun. Babies Pups Patrol Memory that helps them recognize images, cute pups and improve your toddler’s concentration, memory and focus. 5 challenging levels for more fun! Be fast and win the 3 stars! App is loaded with many puppies that can keep your kid busy for hours and make the learn. Have fun on holiday spending time with your favorite pup characters in the garden or during a long hours flight. Babies Pups Patrol Memory is a free kids memory game and it does not require any internet connection. The game is suited for kids with amazing game graphics for an amazing game play experience. The game controls are very easy to use. 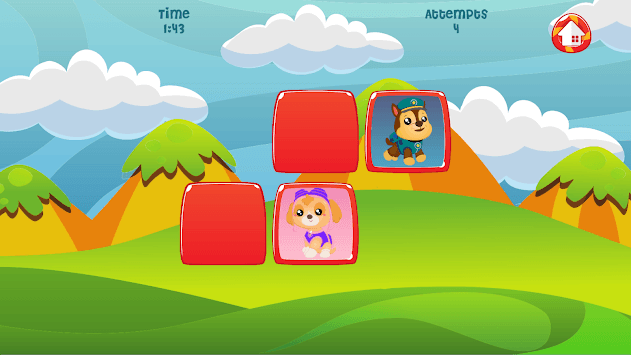 Paw Babies Pups Patrol Memory game also has amazing game sounds so you will enjoy a perfect gaming experience with this game. So, what are you waiting for? 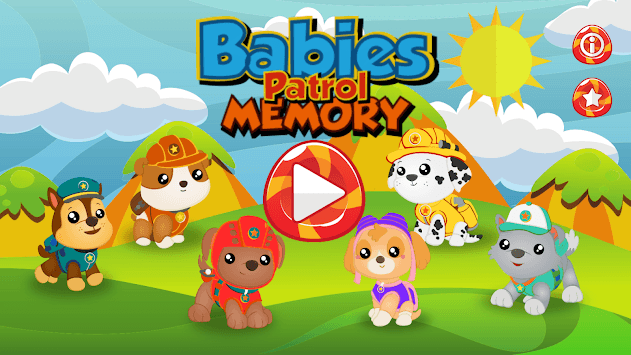 Download this cool Babies Pups Patrol Memory game now for free and experience a different level of memory experience.